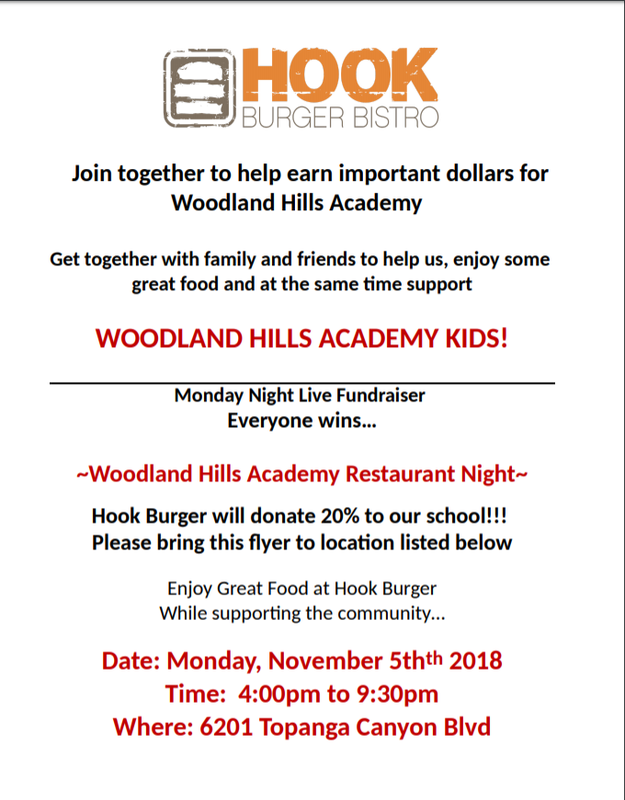 Come to Hook Burger on Monday, November 5th from 4:00pm - 9:30pm. 20% of all proceeds will be donated back to the school. Bring the flyer or tell them that you are with Woodland Hills Academy.